By Queen. Really Easy Piano. Rock. Softcover. 64 pages. Published by Hal Leonard (HL.291022). 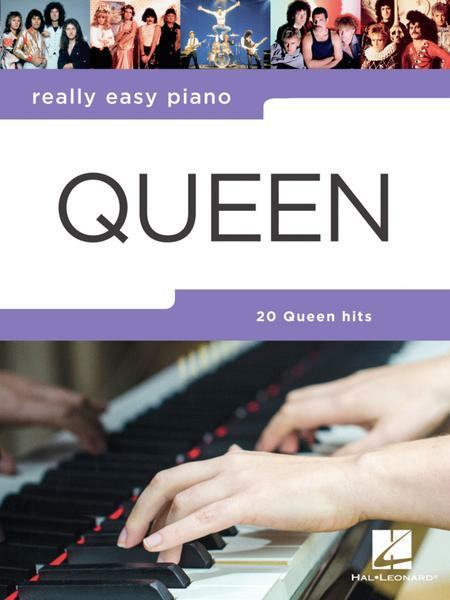 This volume features 20 Queen classics, including: Another One Bites the Dust • Bohemian Rhapsody • Crazy Little Thing Called Love • I Want It All • Killer Queen • Somebody to Love • Under Pressure • We Will Rock You • You're My Best Friend • and more. 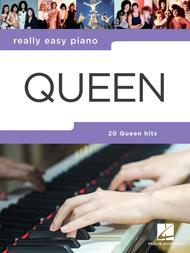 The songs in this collection have been specially arranged for really easy piano with chords and lyrics. Each song includes background notes as well as handy hints and tips to help you improve your performance.